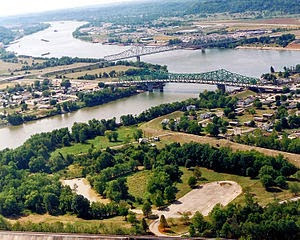 The "point" in Point Pleasant, West Virginia is formed by the Kanawha River flowing into the Ohio River. It was named Point Pleasant by a young surveyor by the name of George Washington. Throughout my life, I have stood at this "point" and said, "Some day I'll sail down this river". Since my retirement, 24 years ago, I have been down the river three times. 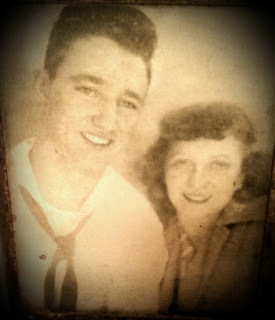 In 1948, just past my 17th birthday, I graduated from Point Pleasant High School. The year book name was a combination of the Kanawha and Ohio, OH-KAN. All three of my year books were destroyed. I missed the year books for lots of reasons but most often by reading an obit of a class mate whom I could not recall their face without the year book to look them up. The school newspaper was named the "Tu-Edu-Wei", which is an Indian word meaning "The mingling of two waters". I have lived all over the world. Point Pleasant is my home. I shall be buried there. On January 19th, 1948 I went to an out of town basketball game with Dottie Songer. We continued to date until I graduated in May and joined the Navy in July. We saw each other the few times I was home over the next four years. She married and had three boys and I married and had two boys and a girl. Like me, she has lost all her family. She is a widow. She lives about 15 minutes from one son in California, an hour from another son and her third son lives in Ohio. Dottie's parents started her to school a year late because she was so small. My parents started me to school a year early because I was so big. She was two years behind me in high school although we were the same age. 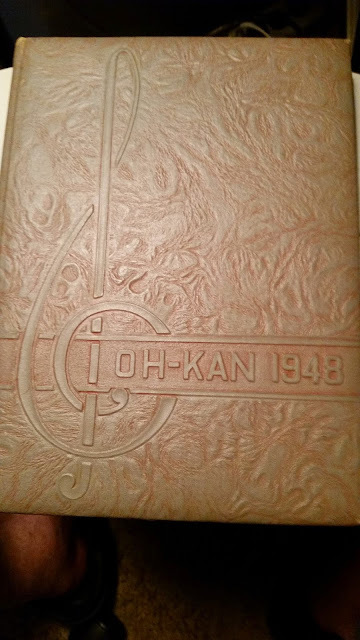 Dottie offered me the 1948 OH KAN. I was delighted to accept. What memories the book brought to mind. 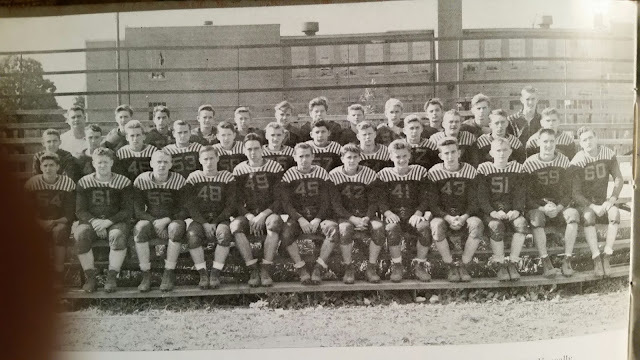 In the above picture of the 1947 Point Pleasant Big Blacks football team, I am number 59, front row, second on the left on the right end. I played defensive left end and offensive right tackle. I have only seen Dottie once in the last 64 years, and that only for a few minutes. I hear about her sometimes from my niece. I did write her a letter to thank her for the book and also called. In our talk I confirmed that her birthday is on August 24th and she remembered that mine is on March 31st. While, like me, she has grown old, she will forever remain my high school sweetheart. That is wonderful of Dottie to give you the 1948 year book! I know you are enjoying reminiscing. saying that because you are my cousin! Thanks, Cheryl. What can I say? The truth is the truth, huh? Uh, you forgot to mention that I am "SWEET, GENTLE AND KIND, MEEK, LOWLY AND HUMBLE". Un Huh! Of course you are all that! And I think I take back after the Pierces!